WWEWWE star John Cena can basically speak fluent Mandarin. Like fellow wrestling star Dwayne “The Rock” Johnson, John Cena is a man of many talents. Last summer, we learned that he was incredibly funny in Amy Schumer’s “Trainwreck.” More recently, we learned that he can speak fluent Mandarin. 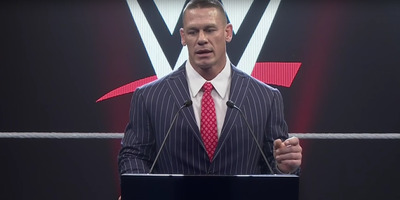 Cena recently spoke at a WWE press conference in Shanghai. They were discussing WWE’s growth in China. Cena spoke to the crowd for over two and a half minutes in flawless Mandarin. Try watching this without feeling inspired to go out and learn a new language.